Summary: UC Hastings Law School has exciting plans to revamp and expand its campus. According to the San Francisco Chronicle, UC Hastings College of the Law has daydreamed of a more beautiful campus for the past six decades. According to Wikipedia, the school was founded in 1878 and was the first law school of the University of California. Its Tenderloin location has been less glamorous than other law school campuses, as it lacked manicured landscaping and impressive libraries. 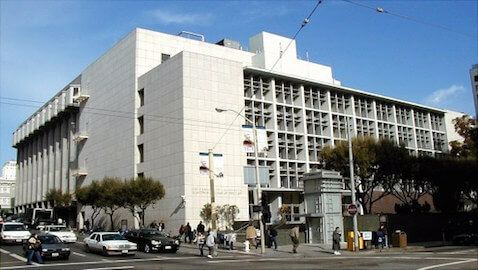 However, the Tenderloin area is being revamped, and the law school plans to take advantage of it. New housing, boutique hotels, and tech firms are moving into the area. The law school has submitted plans for a new academic building and a residential hall for students. If the proposal is approved, Hastings will construct an academic building on a vacant lot located at 333 Golden Gate Avenue. The school’s original facility was housed in Snodgrass Hall, a building opened in 1953 that is located at 198 McAllister Street. Snodgrass Hall would eventually be demolished so that a new tower with 400 residential student units could be built. In 2013, the school created a fellowship that allowed students to work in nonprofit and government agencies that proved successful. Although it’s just the beginning of the process, Governor Jerry Brown is already on board. The proposed budget for fiscal year 2015-2016 included $38 million for construction, and another $7 million to renovate the annex, which is a portion of Snodgrass Hall that would not be torn down. David Seward, the chief financial officer of Hastings, said that Snodgrass Hall has only a few years of “life” left since its plumbing, electrical, hot water, and HVAC systems all need replacing. The building, which houses about 83 percent of the campus’ classrooms, would cost about $39 million to repair, which is about the same as constructing a new building altogether. Do you think prospective students would not consider a certain school because its buildings are older? For some, the new construction ideas are ironic. In 2002, neighborhood activists fought the school when it wanted to build a parking garage on Larkin Street. The activists argued that housing should be built instead that would accommodate local residents and students. At the time, the school said it was not in the “housing business” and went ahead with construction of the garage. At the time, a protest was held that ended with many arrests, including that of then-Supervisor Chris Daly. In November, Arizona State University broke ground on its new law school building. The school currently provides housing for a fifth of its students, who live in “the Tower” at 100 McAllister. At the new residential hall, some space would likely be leased to UCSF students. Here are 50 of the best law school buildings.